First come the obsessions-unwanted ideas or impulses that occur over and over again and are meant to drive out fears, often of harm or contamination. "This bowl is not clean enough. I must keep washing it." "I may have left the door unlocked." Or "I know I forgot to put a stamp on that letter." Then come the compulsions––repetitive behaviors such as hand-washing and lock-checking and hoarding. Such behaviors are intended to eliminate the fear and reduce the threat of harm. But the effect does not last and the unwanted thoughts soon intrude again. Sufferers may understand the uselessness of their obsessions and compulsions, but that is no protection against them. 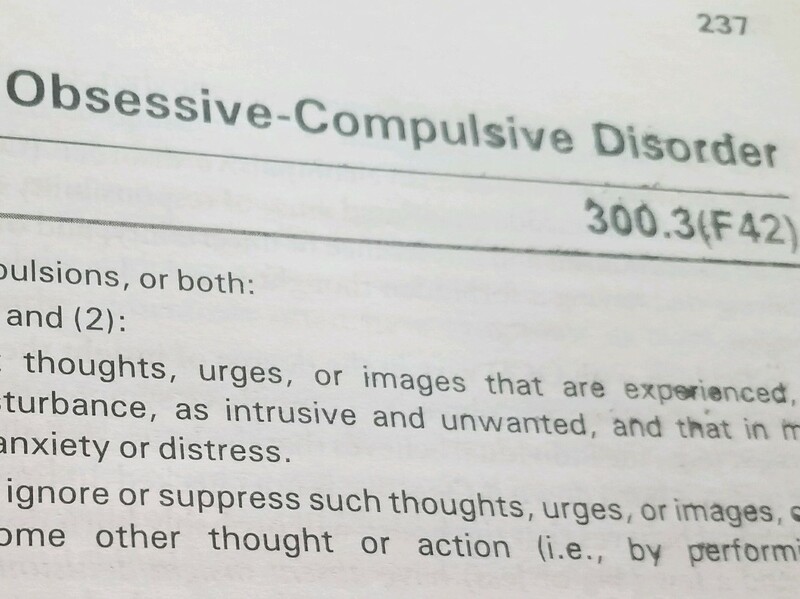 OCD can become so severe that it keeps people from leaving their house.